Brett, Greek Coins (MFA), no. 0356. Diameter: 35 mm. Weight: 43.39 gm. 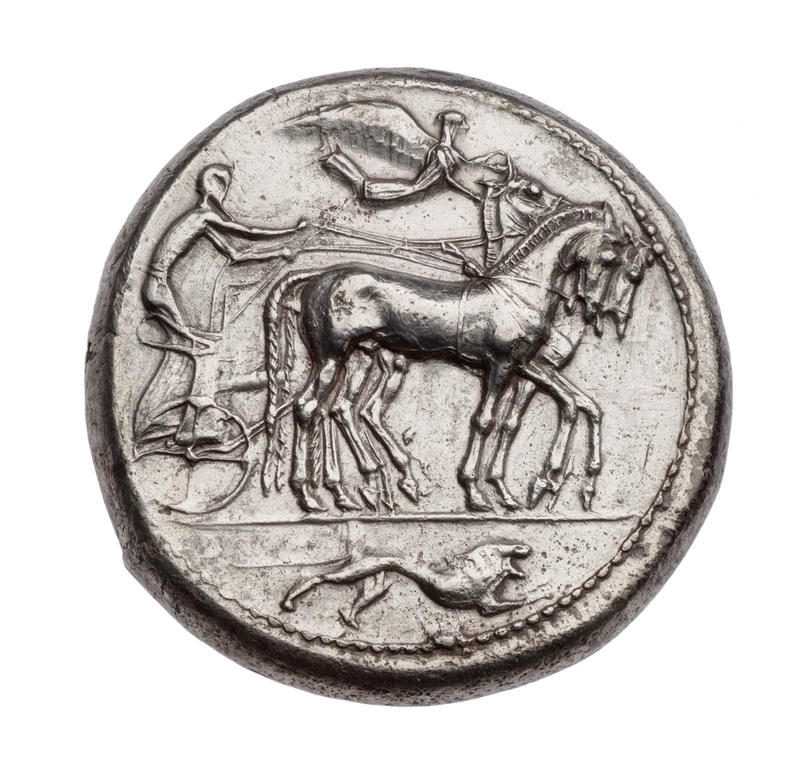 Obverse: Quadriga right, horses walking, driven by charioteer holding goad in right hand, reins in both hands. Above, Nike flying right, crowning the horses. In exergue, lion running right. 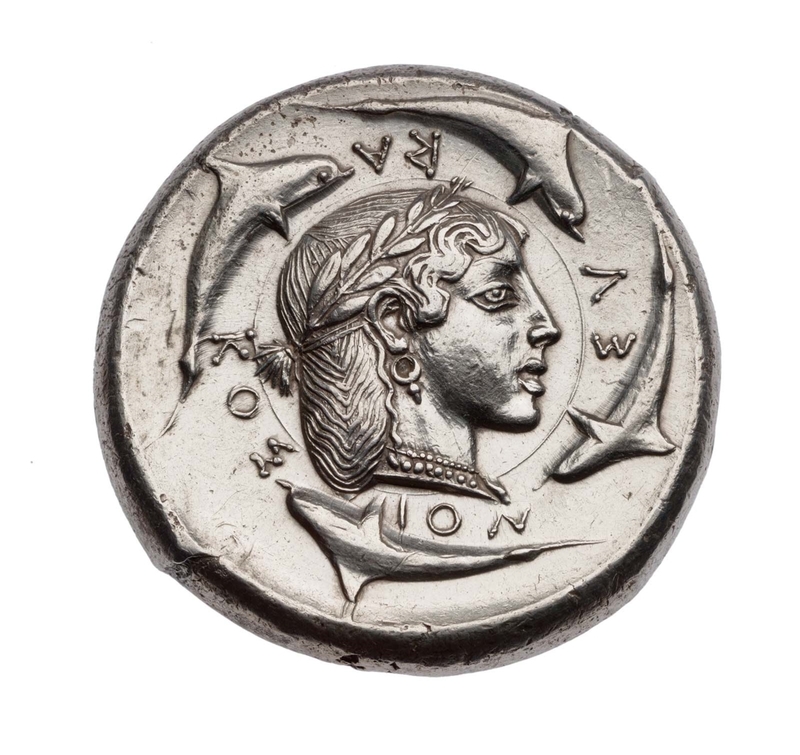 Reverse: Head of Arethusa to right, laureate, wearing earring and necklace with pendants. Hair waved in front, turned up at back, one loose lock behind ear; ends of hair gathered up and tied with double cord.